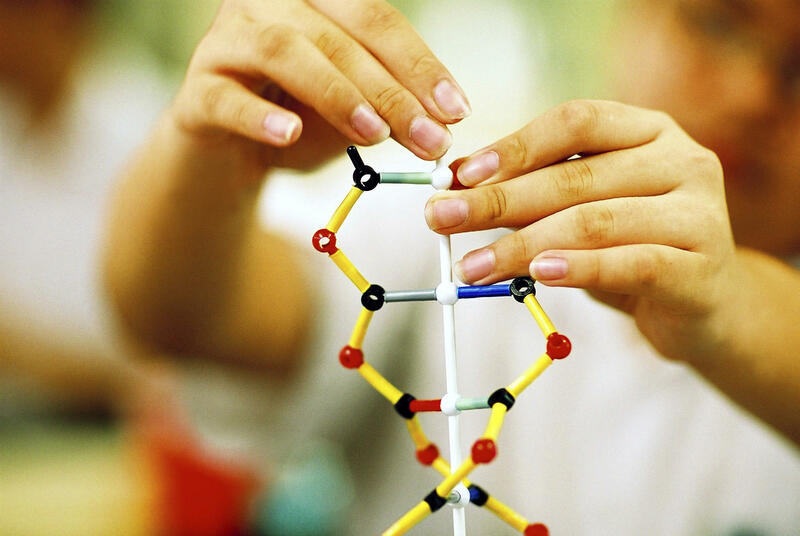 Why stem in afterschool programs? With 10.2 million children and youth currently participating in out-of-school time activities, afterschool and summer learning programs are an integral part to creating a generation of passionate learners and STEM literate professionals. Not only do afterschool and summer programs provide diverse, innovating learning experiences, but they have also been proven to inspire and motivate children and youth in pursuing STEM careers. Join us to explore the STEM and workforce landscapes, and how afterschool and summer learning programs can make a difference now and in the future. Highlight public/private partnerships focused on increasing STEM learning in afterschool and summer learning programs. Feature the release of new data around the benefits of afterschool STEM learning for youth and support/demand from parents for additional programming. 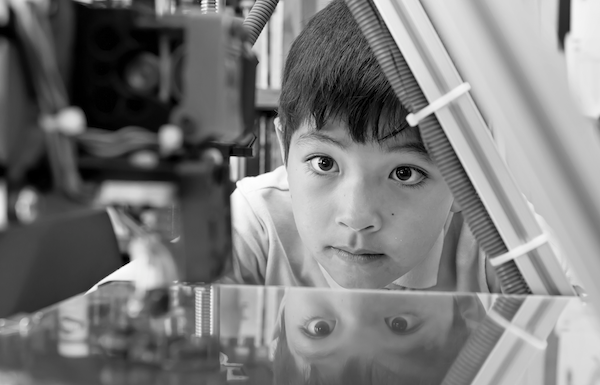 We'll explore the SparkLab!, Object Project and Places of Innovation exhibition to learn how STEM programs can inspire the next generation of problem solvers! Join us for a night of networking as we explore the museum's new Innovation Wing. Immerse yourself in invention by creating prototypes in Spark!Lab, learn how everyday objects changed history in Object Project, and discover the depth of American innovation in the Places of Invention exhibition. Nona Carroll serves as the Program Director for the Maryland Business Roundtable for Education. The Maryland Business Roundtable for Education creates and implements various programs aimed at engaging students in grades K-12 in STEM studies in order to provide opportunities in future job markets. As the Program Director, Nona Carroll is responsible for developing and monitoring a full-scale annual project plan for the Speakers Bureau and STEM Specialists in the Classroom programs, impacting over 30,000 Maryland students each year. In addition to managing the MBRT's volunteer program, Nona also creates the tools used to evaluate the program and assess its effectiveness, and communicates those results to the Maryland Business Roundtable for Education’s Board of Directors, funders and stakeholders. American football receiver Victor Cruz was born November 11, 1986, in Paterson, New Jersey. A standout high school athlete, Cruz eventually starred for the University of Massachusetts. Cruz signed with the New York Giants in 2010. The following season, Cruz had a breakout year, setting a team record in receiving yards and leading the franchise to a Super Bowl victory. Off the field, the Pro Bowl wide receiver has devoted his time to numerous causes and is an active philanthropist. In 2012 he created the Victor Cruz Foundation, which is committed to the support of after school STEM programming through strong partnerships like the Boys and Girls Club of America. Jim Goron oversees Corporate Social Responsibility, Community Investment, Employee Engagement and Thought Leadership at Time Warner Cable. He has responsibility for the company’s portfolio of community partnerships and investments, including Connect a Million Minds – a five-year, $100 million philanthropic initiative that was created to inspire youth to pursue careers in science, technology, engineering and math (STEM). Developing and leading innovative, results-generating communications campaigns and the teams that implement them are Gordon’s expertise and passion. Before joining Time Warner Cable, Gordon held executive positions with Discovery Communications and Comcast Corporation. Since 2005, Jodi Grant has been Executive Director of the Afterschool Alliance, a nonprofit public awareness and advocacy organization working to ensure that all children and youth have access to quality, affordable afterschool programs. As Executive Director, Grant is overseeing all aspects of the Afterschool Alliance’s work, setting its goals and strategies for reauthorization of the Elementary and Secondary Education Act. Prior to joining the Afterschool Alliance, Grant served as Director of Work and Family Programs for the National Partnership for Women & Families. In that position, she worked to protect and expand the Family & Medical Leave Act, and was a member of the team that successfully defended the law before the U.S. Supreme Court. She also served as liaison to the National Governors’ Association, where she worked closely with Republican and Democratic governors. Gwynn Hughes is a program officer at the Charles Stewart Mott Foundation, where she focuses on K-12 education program support, including afterschool and summer programs. Hughes comes to the Foundation after serving six years as executive director of the Massachusetts Afterschool Partnership in Boston. Previously, she was chief of project management and policy support for the Massachusetts Executive Office of Health and Human Services and chief operating officer of the state’s Office of Child Care Services. Maggie Johnson manages all technical training, content development and information management programs for Google engineers and operations staff, as well as Google’s K12 educational programs in STEM and computer science. Johnson also manages the University Relations area, building research partnerships with faculty and labs globally; and Google's strategic initiatives in online teaching and learning. Prior to Google, Johnson was a professor and Director of Undergraduate Studies in the Department of Computer Science at Stanford University. John King, Jr. is the Senior Advisor Delegated Duties of Deputy Secretary of Education at the U.S. Department of Education, a position he assumed in January 2015. In this role, he oversees a broad range of management, policy, and program functions. Prior to his arrival at the Department, King served as the commissioner of education for the state of New York, having been appointed to that position by the New York State Board of Regents in May 2011. In this role, he served as chief executive officer of the State Education Department and as president of the University of the State of New York (USNY). King was one of the nation's youngest state education leaders at the time of his appointment and the first African-American and Puerto Rican to serve as New York State education commissioner. As the Director of STEM Education for Oregon’s Chief Education Office, Mark oversees policy and investments in the P-20 educational ecosystem to transform the lives and prosperity of individuals and communities across the state. With an undergraduate degree from Caltech and a Master’s Degree in Education, he brings over 25 years of experience in STEM — from his first career as a satellite engineer to teaching high school science and mathematics. Prior to joining the Chief Education Office, Mark worked for a STEM education venture philanthropy firm, stewarding its investment strategy and supporting a network of regional leaders across Washington State. Colleen McCreary Is Managing Director of CCKPartners, a talent and operations consulting firm. She has over 18 years of experience in managing talent in the technology industry. McCreary most recently served as Chief People Officer for The Climate Corporation leading the integration of five companies post acquisition and growth to 800+ employees. McCreary was also one of the early Zynga employees, serving as Chief People Officer until she retired in mid-2013. Earlier in her career, McCreary held long tenures at both Electronic Arts and Microsoft and has been featured at Fortune’s Most Powerful Women’s Conference, Fortune Brainstorm Tech, LeanIn blog, and other publications. She serves as Vice-Chair of the National 4-H Council Board of Trustees as well as the Board of Directors for Techbridge and Second Harvest Food Bank. Reginald McGregor is a Manager in the Research & Technology (R&T) Group at Rolls-Royce Corporation (RRC) in Indianapolis, Indiana. Reginald manages the RRC engineering talent pipeline, overseeing the K12 STEM Initiatives, Collegiate Co-op Program and Early Career Engineering Leadership Development Programs. He is a Mechanical Engineer with an MBA; he has over 13 years’ experience in the aerospace industry. He serves on several boards including Board of Trustees for Martin University; Lawrence Township School Board; Governor’s Region 5 Works Council; Purdue Engineering Education Industrial Advisory Council; Indiana Afterschool Network and American Society Engineering Education (ASEE). In 2006, he received the Black Engineer of the Year (BEYA) Award. Senator Adam Morfeld founded Nebraskans for Civic Reform in 2008 to protect voting rights, create more accessible elections and strengthen K-12 civic education. Since then Nebraskans for Civic Reform has become the only public interest organization in Nebraska dedicated to creating uniquely Nebraskan civic education programs and conducting Nebraska specific election administration policy research and advocacy. Nebraskans for Civic Reform runs after school programs in addition numerous other service learning based programs in the public schools. In 2014, Morfeld was elected to serve as a state senator for the 46th Legislative District of the Nebraska Legislature. He is the third youngest state senator in Nebraska and serves on the Education and Judiciary Committees. Diana Oo currently serves as Senior Director of Global Public Policy at Comcast NBCUniversal’s Washington, D.C. office. She oversees the company’s policies pertaining to intellectual property, municipal broadband, energy sustainability, and Internet governance matters. Previously, she served as Director of Government Affairs at Cablevision. In that role, she advised key executives on congressional issues affecting Cablevision and spearheaded the company’s legislative policy and strategy on all federal issues. Before joining Cablevision, Diana served as counsel for copyright and telecommunications issues before the U.S. House of Representatives Committee on the Judiciary, under former Chairman John Conyers (D-MI). Diana began her congressional career as a legislative aide to former Congressman Harold Ford (D-TN). She has also had the opportunity to serve as an intern for the Recording Industry Association of America, the Electronic Privacy Information Center, and the U.S. Federal Communications Commission. and science. Ron also spearheads the foundation’s human capital management and math initiatives. Prior to joining Noyce, Ron served for fourteen years as National Associate Director of the non- profit AVID Center, which disseminates AVID (Advancement Via Individual Determination), the nationally acclaimed college preparation program for low- income students. He was elected to three terms on the San Diego City Schools’ Board of Education from 1992-2004, during a period of major reform of the school system, and was the longest running board president. Linda Rosen is the Chief Executive Officer of Change the Equation. Her career has focused on scaling up research-based best practices, and working with states, localities and corporations to implement these practices to ensure long-term sustainability and success. Previously, Dr. Rosen was the Senior Vice President for the National Alliance of Business and Senior Advisor to U.S. Education Secretary Richard Riley at the U.S. Department of Education, where she led the National Commission on Mathematics and Science Teaching for the 21st Century, also known as the John Glenn Commission. Prior to joining the Department, Dr. Rosen was Executive Director of the National Council of Teachers of Mathematics and the National Academy of Sciences’ Associate Executive Director of the Mathematical Sciences Education Board. Kevin Washington is President and CEO of YMCA of the USA (Y-USA), the national resource office for the Y. Washington assumed his post on Feb. 1, 2015, and is the 14th person and first African-American to lead the Y Movement in the U.S. He came to Y-USA from the YMCA of Greater Boston, where he served as President and CEO from 2010 to 2014. He previously was President and CEO of the YMCA of Greater Hartford for 10 years, and held executive positions with YMCAs in Chicago and Philadelphia. Even before joining Y-USA, Washington played a central role in determining the national direction of the Y. He served as Chairman of the YMCA CEO advisory committee that guided the development of Y-USA’s strategic plan for 2014 to 2017, and was a member of the Y-USA Board of Directors from 2004 to 2009. A native of Philadelphia, Washington earned a bachelor’s degree in history from Temple University. Below you will find presentations and workshop materials from the Afterschool STEM Summit. Includes the summit agenda, speaker bios and an overview of STEM learning in afterschool. Includes slides from the opening plenary and the ﻿America After 3PM ﻿release. Slides from the afternoon workshop Telling Your STEM Story: Communicating Your Value While Getting Media Attention. Slides from the afternoon workshop Cultivating STEM Learning Ecosystems to Transform STEM Engagement & Learning Opportunities for Youth. For more information about framing and communicating afterschool STEM, visit the Afterschool STEM Hub website. Slides from the afternoon workshop From Polite Partnerships to the Real Deal: Scaling STEM in Underserved Communities. From more information about expanding STEM opportunities through strategic system building efforts, visit the STEM Systems Building Toolkit website.